Camp Wise Villages are organized by the grade your child will be entering at the end of the summer season. 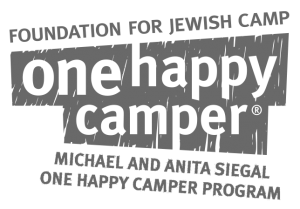 At Camp Wise, the Mandel JCC of Cleveland’s Jewish overnight camp, we understand that children of diverse age groups are at varying developmental stages and have different needs while at camp. We intentionally group our cabins in distinct age-group villages, not by gender, so that counselors can focus on the specific age appropriate needs of each of their campers. Villages build a unique identity and sense of pride over the summer, kids participate in daily electives, sit at cabin tables at meals, participate in evening programs, and come up with their own cheers and mascots as a village. Campers share space and time with kids their own age–and can develop meaningful relationships with peers outside their cabin. Each Camp Wise camper lives in a cabin with kids in his or her own grade. Three or four staff members live in each cabin which keeps the cabins below a 1:4 staff to camper ratio and allows staff to build meaningful 1 on 1 relationships with each camper. Chalutzim is in the center of camp and it’s where our youngest campers live. This very special village of 2nd-5th graders is always filled with energy and laughter! The Ga-Ga pit and tetherball in Chalutzim are always in use and every time you walk by you can see and hear the excitement. Evening programs are especially creative and provide an opportunity for Chalutzimers to use their imagination and experience special adventures every evening with their friends. Chalutzim counselors are extremely patient, caring, creative, and dedicated to helping all of their campers feel comfortable and safe. We love our Rishon campers! 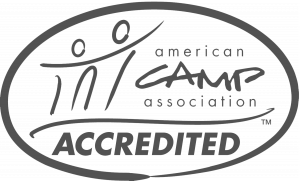 Rishon is our two-week mini session for 2nd – 5th graders. It’s the perfect way to give camp a try! While camper care is our #1 priority in every village, the counselors assigned to our Rishon cabins specialize in ensuring that these first-time campers have an unforgettable experience. Counselors support Rishon campers as they try new activities, make new friends, and become more independent with each new day. During their two weeks at camp, Rishon campers get to try the best that Camp Wise has to offer, giving them a well-rounded program and leaving ready for more next summer. 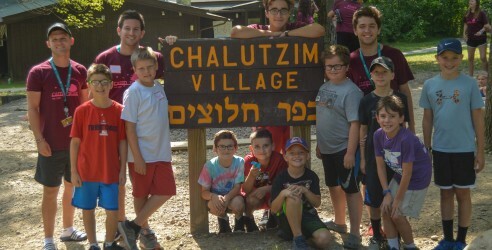 Rishon campers live in the Chalutzim village and participate in the same evening programs and daily chugim as the Chalutzim campers. Ohalim is home to our 6th and 7th grade campers. The soft sided tent “cabins” are unique and a favorite throughout our camp community. You can often find the tent flaps rolled up during the camp day; this creates a special feeling of openness and community (Kehillah) in the village. This environment encourages campers to spend time outside and to socialize with the entire group. In the village campers spend time playing cards with their friends, chatting with their counselors, singing by the campfire or just relaxing with a book. When you walk through Ohalim you can always count on seeing games of “roofball” (a special Ohalim activity) or Frisbee, and music is always playing! Being a part of Ohalim truly feels like being part of a family. 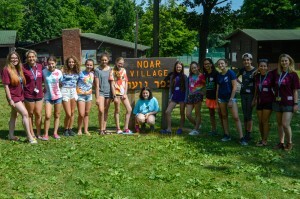 Noar is the teen village that our 8th and 9th graders call home! Noar is filled with late night campfires, euchre games and cheers. Teens really enjoy Noar because they have a lot of input about their own daily experience and activity choices. Evening programs have laughter and silliness, yet at the same time they challenge the teenage spirit to learn and grow. Counselors in Noar focus intentionally on providing special experiences for their campers that are fun and relaxing, and on experiences that foster developing strong, healthy peer relationships. Part of the magic of Noar is a day trip to Cedar Point as well as other special off-camp adventure trips! Noar is a place where our teen campers become themselves and discover who they want to be in a safe, fun environment. Solel offers a fantastic summer adventure for our 10th graders. Their program is based on creating one community and lifelong memories. Solel campers live in our yurt village and even though campers are assigned to bunks, all activities and trips are done as a village. 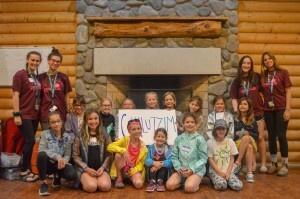 As our oldest campers and leaders in camp, Solel participates in unique evening programs and is a part of a buddies program with Chalutzim and Rishon campers. 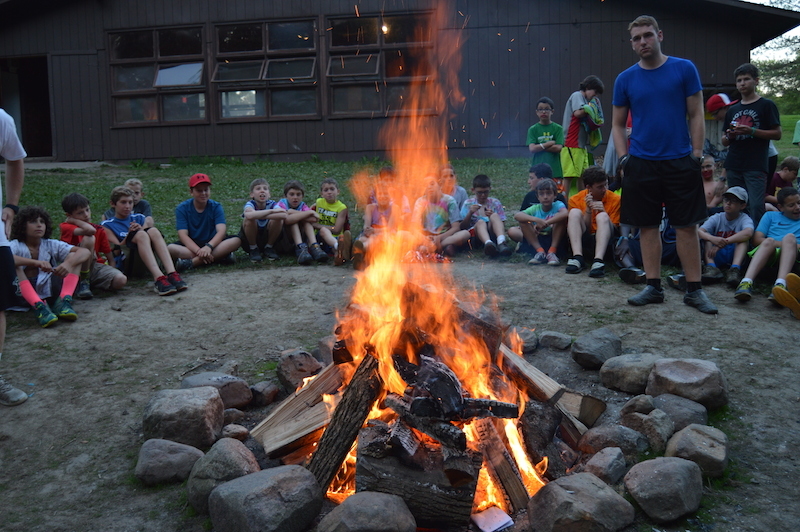 Because Solel takes many trips, their time in camp is tailored so they can participate in traditional camp activities and specialized Solel programs. The yurt village and deck are always alive with jokes, music, dancing, and excitement. 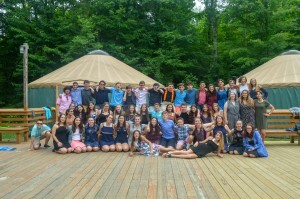 Solel is the capstone of the CW camper experience which ends in the campers leading a powerful final Shabbat each session.